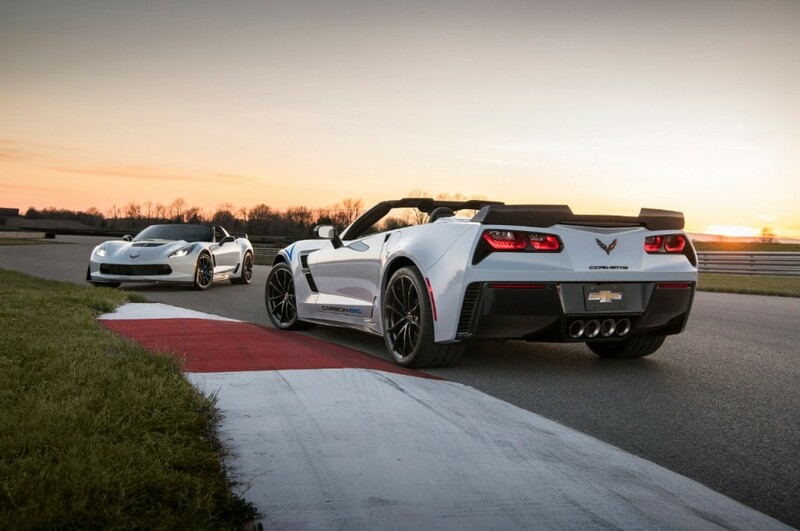 Chevrolet is marking 65 years of its most iconic model with a very special edition of Corvette. This is the 2018 C7 Corvette Carbon 65. Available for both C7 Corvette Grand Sport and C7 Corvette Z06 (3LT trim for the Grand Sport and 3LZ for the Z06), the Carbon 65 blends visible carbon fiber elements, notably in the rear spoiler and quarter panel ducts, with a brand new exterior hue: Ceramic Matrix Metallic. Inside, Chevrolet has touched up the cabin with Jet Black suede and blue, red or yellow, color-contrast stitching, while each Carbon 65 gains a carbon-fiber steering wheel rim and gloss carbon-fiber interior trim. Convertibles also gain a blue soft top. 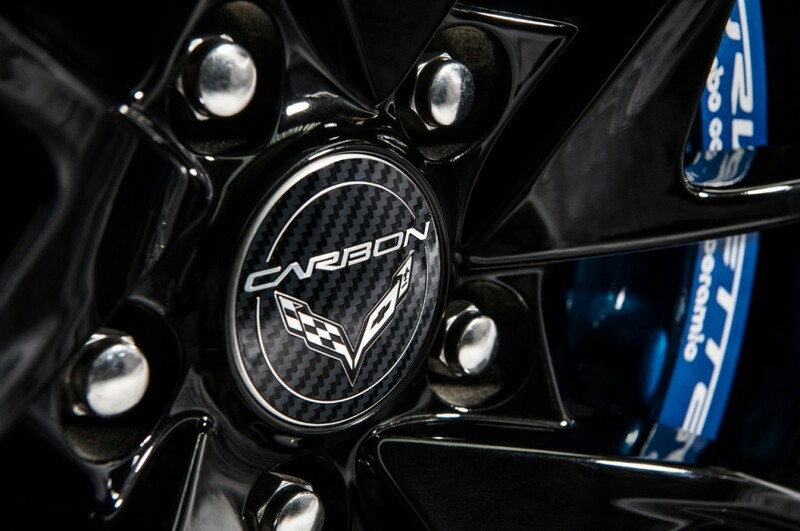 Other notable additions to make the Carbon 65 not your average Corvette include unique wheels – cup style for the Grand Sport and blade style for the Z06 – finished in black with machined grooves. A carbon center cap also adorns each wheel as a subtle nod to the model’s specialty. 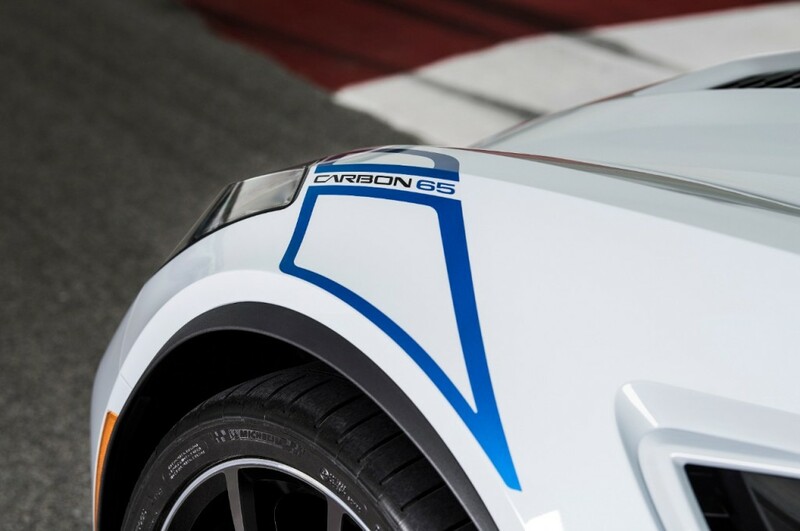 Fender stripes in the style of Grand Sport hash marks and “Carbon 65” door graphics run along the bottom of both the Grand Sport and Z06-based special editions. As for availability, these Corvettes will be quite limited. 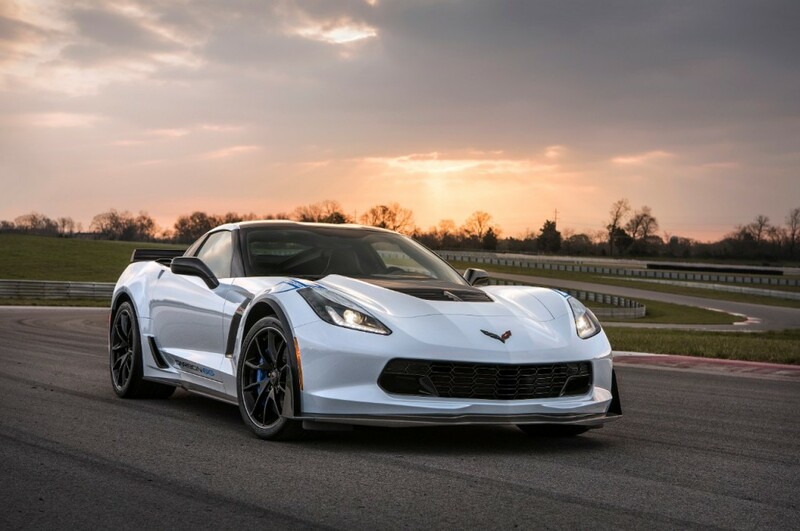 Just 650 units will be produced for consumers globally with a price of $15,000 over the standard MSRP on a Grand Sport or Z06. The 2018 C7 Corvette Carbon 65 will launch this summer to celebrate 65 years of the iconic Corvette nameplate. I wonder what dealer mark up will be. smh. At least it qualifies how much the Emporer’s New Clothes will cost. Lone Star Chevrolet in Houston had this priced at a high $ 93 998.00. Two rich for my blood.